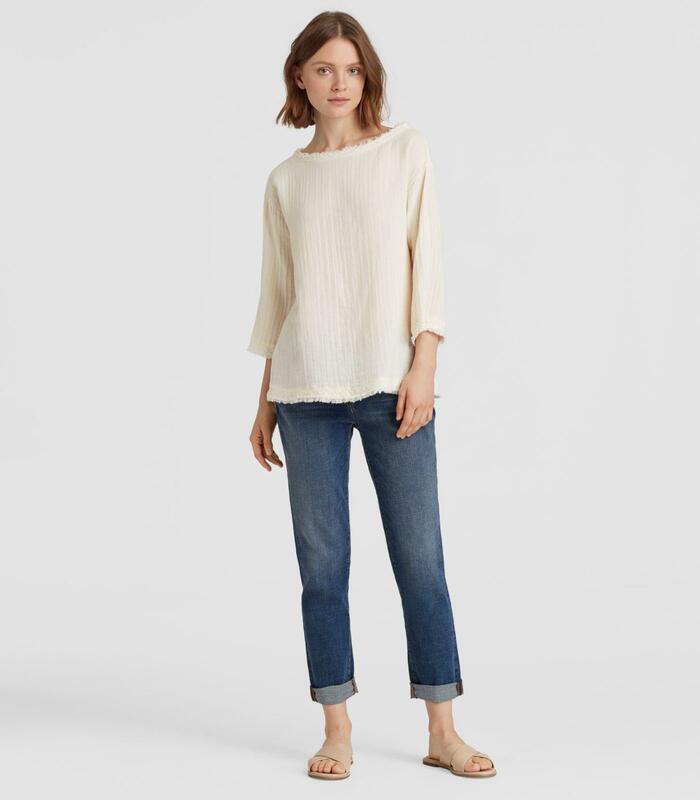 We check over 450 stores daily and we last saw this product for $203 at Eileen Fisher. Light and airy. 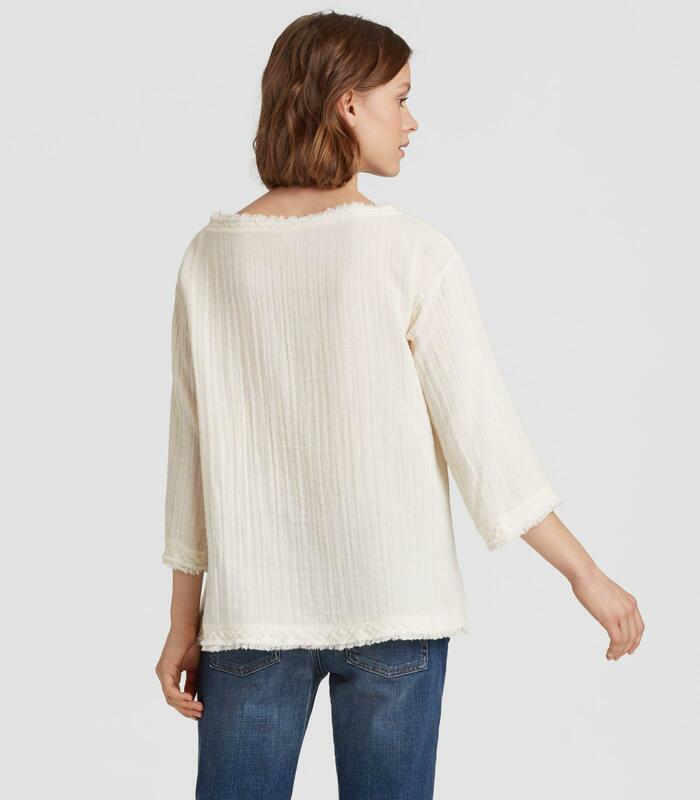 A box-top with frayed edges, in our gauzy organic cotton. Easy, boxy fit. 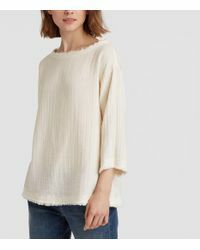 Bateau neck; dropped shoulders; 3/4 sleeves. 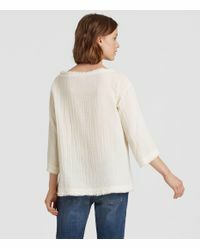 Finished with raw-edge detailing at the neckline, arms and hem. Fabric: woven with air. 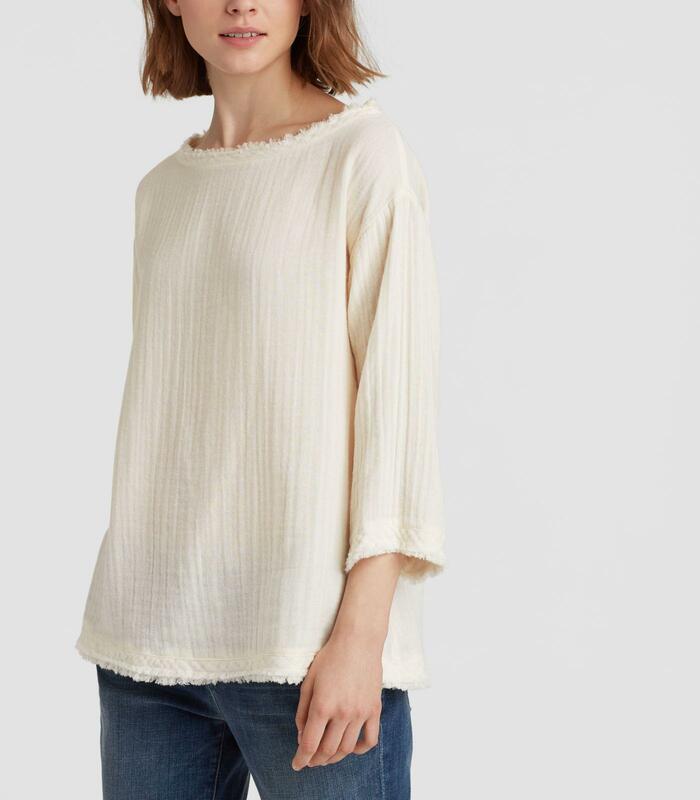 Two layers of gauzy organic cotton that float, creating rippled texture. Organic farming supports clean water and healthy soil. Length measures 26 inches on the body (size small). Model featured is 5'9". We recommend machine wash cold in a mesh bag. May be dry cleaned. Made in china. 100% organic cotton. 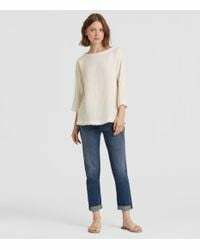 Organic cotton. Grown without the synthetic herbicides and pesticides that make conventional cotton one of the most toxic crops. By 2020 all our cotton will be organic.